But a new lab study from CSE finds they are being widely sold here. Have India’s food and health regulators willfully allowed this to happen? New Delhi, July 26, 2018:In a first study of its kind for India, New Delhi-based research and advocacy body Centre for Science and Environment (CSE) has exposedlarge-scale illegal presence and sale of genetically modified (GM) processed foodsin the country. Without the approval of the Food Safety and Standards Authorityof India (FSSAI),production, sale and import of these foods is banned in the country. CSE’s Pollution Monitoring Laboratory (PML), which conducted this study, tested 65 food products available in Indian markets – 32 per cent of these were found to be GM-positive. These food products were purchased randomly from retail outlets in Delhi-NCR, Punjab and Gujarat. Both imported (35) and domestically produced (30) samples were tested – imported samples fared worse: 80 per cent of the products which were found to be GM-positive, were imported (for the complete study report, please visit www.downtoearth.org.in). 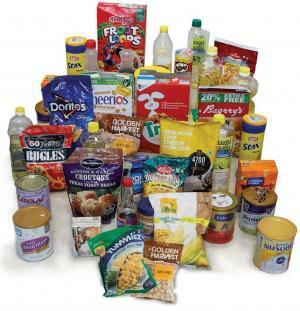 The products which were found to be GM-positive include infant food, edible oil and packaged food snacks. Most of these are imported from the US, Canada, the Netherlands, Thailand, and the UAE. These productswere produced from or containsoya, cotton seed, corn or rapeseed (canola), which are known GM crops of the world. What is GM? Why should we worry? 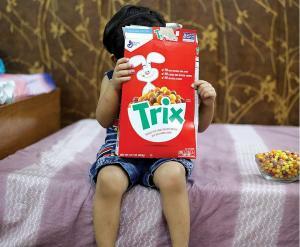 “GM – genetically modified – products, especially food, raise a crucial question of safety: a question of how safe are they. The jury is still out on this,” says Narain. This is because GM food involves taking genes (DNA) from different organisms and inserting them in food crops. There is a concern that this ‘foreign’ DNA can lead to risks such as toxicity, allergic reactions, and nutritional and unintended impacts. Most countries in the world, including India, have decided to take a ‘precautionary’ approach to GM food. They have set stringent regulations for approval and labelling. The EU, Australia, New Zealand, Brazil and South Koreahave made it mandatory to label GM food so that consumers have a choice about what they are eating(see Down To Earth story and the CSE report for more on this -- www.downtoearth.org.in). What did the CSE study find? GM food contains foreign promoter and terminator genes. 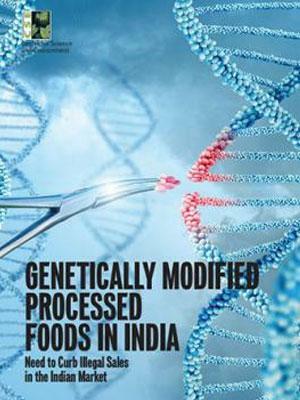 More than 90 per cent of GM crops in the market containpromoter genes like 35S promoter of cauliflower mosaic virus (CaMV) and FMV promoter of figwort mosaic virus, and NOS terminator of Agrobacterium tumefaciens.Using quantitative Polymerase Chain Reaction (qPCR), CSE’s lab screened the food products to ascertain if they had a combination 35S promoter, NOS terminator and FMV promoter. 32 per cent (21 out of 65) of the food product samples tested were GM-positive. About 80 per cent (16 out of 21) of those which tested positive were imported. These were made of or used soy, corn and rapeseed and were imported from Canada, the Netherlands, Thailand, the UAE, and the US. 56 per cent (9/16) of oil samples, 25 per cent (10/39) of packaged food samples and 25 per cent (2/8) of infant food samples were GM-positive. GM contamination was found in infant food, sold for children with medical ailments, including allergies. Two products by Abbott Laboratories, the American healthcare company, were found to be GM-positive -- one was for lactose-intolerant infants and the other was a hypoallergenic (for minimizing the possibility of an allergic reaction). Neither product has any label warningparents that this food has GM ingredients. 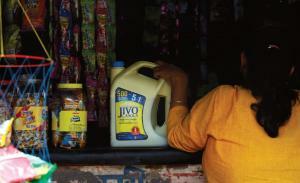 Canola oil brands (‘Farrell’ imported from UAE by Jindal Retails (India) Pvt Ltd; ‘Hudson’ from UAE, marketed by Dalmia Continental Pvt Ltd; ‘Jivo’ imported from Canada by Jivo Wellness Pvt Ltd);and cottonseed oil brands from India (‘Ankur’, ‘Ginni’, ‘Tirupati’ and ‘Vimal’). Packaged foods like ‘Pancake syrup original’ and ‘Popcorn Hot N’ Spicy’ -- both products of American Garden – imported in India by Bajoria Foods Pvt Ltd; ‘FrootLoops’ -- a sweetened multigrain cereal from Kellogg’s imported by Newage Gourmet Foods;and ‘Crispy corn snacks’ from Bugles – distributed by General MillsInc, USA and imported by Newage Gourmet Foods. Three products made false claims suggesting that no GM ingredient is used. These were ‘Candrop’ Canola oil from Canadaimported by Century Edible Cooking Oils Pvt Ltd; ‘Mori-nu silken tofu’ from the US, imported by Olive Tree Trading Pvt Ltd; and ‘PromPlus sweet whole kernel corn’ from Thailandimported by Guru KirpaImpex. Four products that carried labels of genetic engineering technology were ‘Butter and Garlic Croutons’ from MrsCubbison’s; ‘Corn puffs’ by Trix – distributed by General Mills Sales Inc, USA; ‘Original syrup’ from Aunt Jemima – distributed by Quaker Oats in the US; and ‘Dark corn syrup’ from Karo, US. All four products were imported by Newage Gourmet Foods. The Environment Protection Act (EPA) strictly prohibits import, export, transport, manufacture, process, use or sale of any genetically engineered organisms except with the approval of the Genetic Engineering Approval Committee (GEAC) under the Ministry of Environment, Forests and Climate Change. The 2006 Food Safety and Standards Act (FSSA)prohibits import, manufacture, use or sale of GMfoodwithoutFSSAI’s approval. The Legal Metrology (Packaged Commodities) Rules 2011 mandate that GM must be declared on the food package. The Foreign Trade (Development and Regulation) Act 1992 says that GM food cannot be imported without the permission of GEAC. Anyone who imports, manufactures, uses or sells GM food, is liable to be prosecuted under the above Acts. The FSSAI must identify all GM products being sold in the market and prosecute companies and traders responsible. It must set up a safety assessment system for approval of both domestic and imported GM foods. The limit for GM labelling exemption should be set at 1 per cent GM DNA and not on the basis of weight of ingredients. Only unintentional contamination should be exempted. The FSSAI should adopt qualitative screening (such as through quantitative polymerase chain reaction - qPCR) as an enforcement tool and the onus of proving unintentional presence should be on the food manufacturer. 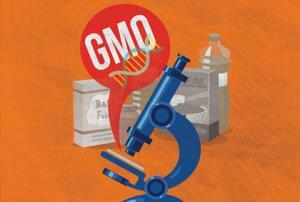 It must set up laboratories to screen GM foods for effective monitoring. A symbol-based label such as ‘GM’ should be displayed on the front of packs which carry GM food -- just like the green “tick” along with the words “Jaivik Bharat” proposed for organic food.